Obituary – Rev. Dr. William Rustenhaven, Jr. The Rev. Dr. William Rustenhaven, Jr. ceased his work on earth on February 1, 2019. He was born August 22, 1930, the son of Beulah James Rustenhaven and William Rustenhaven, Sr. in Houston, Texas. Visitation will be at the Cumberland Presbyterian Church (501 Indian Springs Road) on Friday, February 8 from 6-8 pm A Witness to the Resurrection service for “Bro. Bill” will be on Saturday, February 9, in the sanctuary of the Cumberland Presbyterian Church of Marshall, Texas, at 2 pm with Rev. William “Rusty” Rustenhaven III, Rev. Mary Kathryn Kirkpatrick, Rev. John Vernon Lindsay, and Rev. David Snow officiating. Entombment will be at Colonial Gardens Mausoleum. Bro. Bill spent his childhood in Houston, graduating from Sam Houston High. He gave his life to Jesus Christ when he was seventeen, under the pastoral guidance of Rev. James Gilbert (whom he always called “his father in the ministry”). He served his country in the United States Army at Fort Sam Houston in San Antonio as Military Police. It was during this time that he saw the needs of the world for the grace and salvation of Jesus Christ that he himself had experienced just a few years earlier. Though he felt unworthy, he soon surrendered to the call to the ministry of Word and Sacrament under the care of South Texas Presbytery. He was ordained in 1956. He returned to his home church in Houston after his stint in the army. He met his wife-to-be, Dolores Ann Jones, from Overton, Texas, who was now living in Houston. She had been a Cumberland Presbyterian growing up in Overton. They met, began dating, soon were engaged, and were married on April 3, 1955. He attended numerous colleges and graduate schools with a Bacherlor’s of Arts Degree from Howard Payne University. His Bachelor’s of Divinity and Masters of Divinity were from Memphis Theological Seminary and his Doctorate of Theology from Southwestern Baptist Seminary in Fort Worth. In addition, he earned a Masters of Arts in Religion from Memphis Theological Seminary. Bro. Bill enjoyed serving God for 62 years as a minister of the gospel. 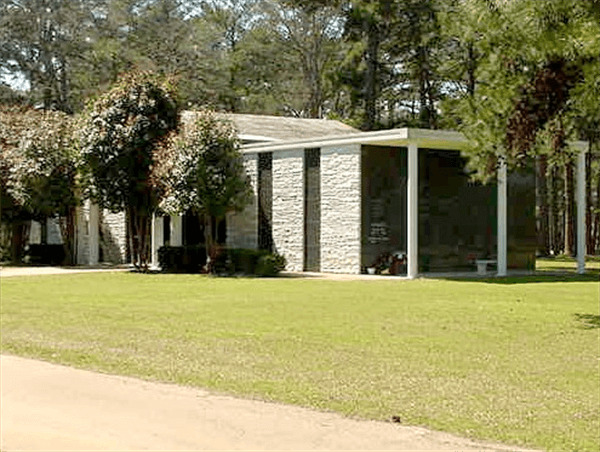 Some of his most fruitful years were in the First Cumberland Presbyterian Church of Marshall, Texas where he served for 12 years from 1972 to 1984. He also served other Cumberland Presbyterian Churches; Oak Grove (near Andice, TX), Shady Grove (near Bertram, TX), Trickham and Blanket (near Brownwood, TX), Shinar (Pleasant Grove, Iowa), Walnut Grove (near Covington, TN), Trinity (Fort Worth, TX), Jefferson and Marshall as a parish (Jefferson and Marshall, TX), Frasier (Memphis), Ramer (Ramer, TN), St. Timothy (Bedford, TX), Daingerfield (Daingerfield, TX) and once again as a part-time Minister of Visitation in Marshall. Bro. Bill was a beloved pastor of the Cumberland Presbyterian Denomination who served at every level and on many boards, committees, commissions, and task forces. 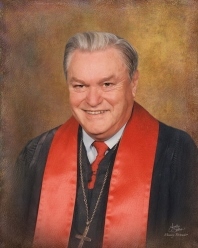 He served as Moderators of Caddo Presbytery, Texas and Mission Synod, and in 1989 he was elected to the highest office of the Cumberland Presbyterian Church when he served as the General Assembly Moderator. He was on the denominational Realignment Committee. In Marshall, he served as a member and later as President of the Optimist Club where he helped with all the functions of this service organization including the Teenage Oratorical Contest and the Christmas Tree Sales. He helped establish what became the United Churches Care organization and served as President and member of the Marshall Ministerial Alliance. He was the President of the MHS PTA. He faithfully led worship services at the Marshall Nursing Homes and later led Bible Studies, too. In addition he served on the East Texas Temperance League. He loved Marshall, Texas. He was preceded in death by his father and mother and his two sisters (Benton Lois Shirley and Harry Jo Fisher). He loved his family. He is survived by his wife, partner, typist, and helper, Dolores Ann Jones Rustenhaven, his four sons, William “Rusty” Rustenhaven III (wife, Druann), Jonathan Rustenhaven (wife, Beth), Joel Rustenhaven, and James Rustenhaven (wife, Lisa). Rustenhaven grandchildren are Ben (wife, Sarah), Randy (wife, Chelsey), Ryan, Hope, Tommy, Jimmy, Jake, Emily, Josh and Jordan. He lived long enough to see his first great-grandson, Rhett Rustenhaven. Also, he is remembered fondly by many cousins and other family. Pallbearers are the Rustenhaven grandchildren. Honorary Pallbearers are the pastors and elders of Trinity Presbytery and the Cumberland Presbyterian Denomination. In addition to his dedicated wife, Dolores, the family is grateful to the helpers from Visiting Angels, Vet Assist, Heart-to-Heart Hospice, Marshall Manor Nursing Home, and the Cumberland Presbyterian Church family (who provided care for “Mr. Bill” through the years, especially in these last few months). 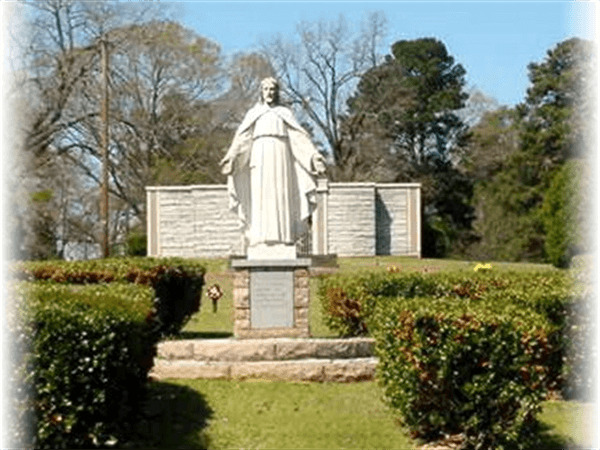 Memorials may be given to the Cumberland Presbyterian Church of Marshall, Texas (P.O. Box 1303, Marshall, TX 75671), to the Program of Alternate Studies or the William and Dolores Rustenhaven, Jr. Endowment at Memphis Theological Seminary (each of these two at 168 E. Parkway South, Memphis, TN, 38104).